If you are a fan of Formula One, F1 2016 is a game you will want to get. It is fun, challenging and has some real eye candy for those who love the sport. While it doesn’t have the seemingly unlimited car configurations of a console game nor the ultra refined car controls, it is a solid game with solid performance and excellent graphics. fully aware before you buy the game. The girth of that install equally becomes evident when you open up the game. The graphics, even from the main menu, are beautiful. Codemasters clearly did a lot of work to make the game feel real with stunningly good images of the tracks, cars and the in game playing experience. 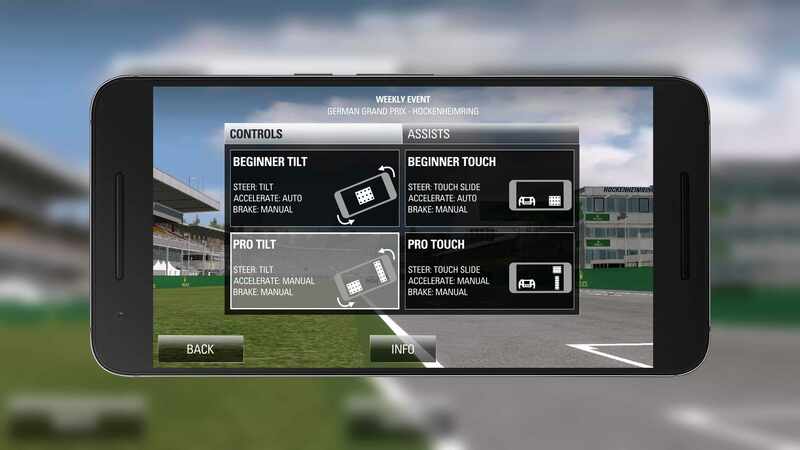 Like other games, you have a variety of controls that you can adjust for the game such as the volume levels of the music and sound effects in the game, connecting the game to your Google Play account and how you want to control your car in the game. There are four different ways you can control your car ranging from all touch controls (including a touch steering wheel) to tilt controls with touch controls for the brake and accelerator. This latter mode is how I prefer to play and you can adjust the sensitivity and camera tilt through corners to make it easier to play. My recommendation is to try the different control settings to figure out which works best for you and keep the sensitivity settings at default. Once you get a feel for the game you can then start tweaking. Time Trial: Here you select your car and the circuit and try to lay down your best time. This is a great place to try out different car setups and tires before going into a season or race weekend. 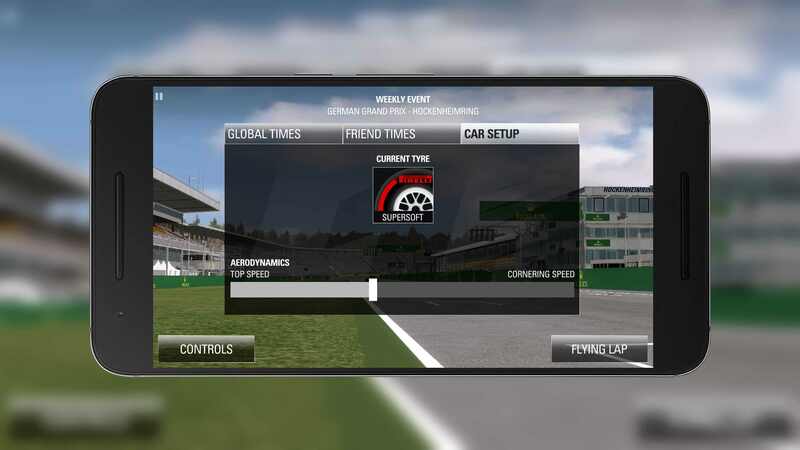 Weekly Trial: Here you compete in a pre-selected car with a pre-selected driver on a pre-selected circuit and you try to lay down the best time, competing against others globally. Season: You compete with your selected team and driver the 21-race schedule of the 2016 season. You have practice, qualifying and the race itself with the goal to win the Drivers Championship. Custom Season: Here you can create a season of various lengths competing at the circuits you select in the order you select. As with other Codemaster F1 games, the urge is to get into a season and start winning races. Sure you can do that but I really recommend that you spend time in the Time Trials and Race Weekend sections first. You will have to get the “feel” for the car and the controls and that takes a bit of practice. is why I encourage you to get some mileage under your belt before getting started on a season. 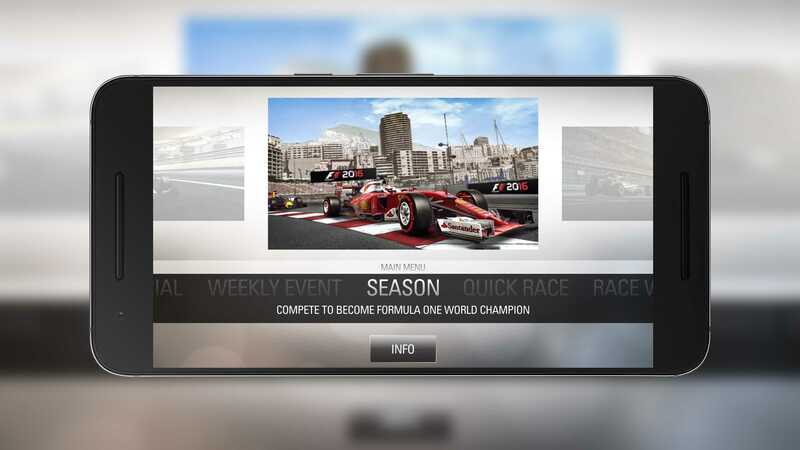 Within each session in Season or Race Weekend mode, you can adjust the length and difficulty of the event. For Practice, for example, you can have it limited to a number of laps or time limit up to 15 minutes. Your competition can be set to easy, medium, hard or very hard depending on your skill level and the challenge you want to face. You can adjust the difficulty per sessions (easy in Qualifying and Hard in the Race) if you want to do so. Sticking with Practice and once you have set up the length of time for practice and the difficulty, you can then setup your car. This is a simple slider that allows you to adjust the car from having more top speed and less downforce to more cornering speed (downforce) and less top speed. Each track will vary as to what you need but as in real F1, the more downforce you can get off the car and still maintain control, the better. If you are use to the console versions of F1 games, you may be disappointed in the lack of refinements you can make to your car. I can appreciate that as I like to tinker with ride heights and other things on the game for my Xbox. Keep in mind though that this is a mobile game designed for quicker playing. the driver view as it gives a more realistic touch to the game. One suggestion while playing is that you enable the racing line assist (it is in the options area of the main menu). This gives you the driving line, which is green, but pops up in yellow and red when you enter braking zones. This will help you learn the circuits and know when and where to brake. The one challenge you have with a touch mode game is that you don’t have the refined movements that you do on a console. On a game controller, for example, you can slightly lift or slightly brake just by squeezing the trigger slightly or lifting off of the trigger slightly. On a touch device, it is more binary: It’s either on or off. That makes learning how to finesse you car through the turns a bit tricky at first and, to be fair, a bit arcadey. So set your expectations now. You won’t have the subtile touches to the car you can make with a game controller on your phone or tablet. But, that said, once you get the hang of it, you can learn to get your car around a circuit pretty fast. Graphically, the game is fantastic. Codemasters clearly did a lot of work on the game play and smoothness and on the cut screens within the app. They are amazingly detailed and realistic. Game play, however, is not overly impacted by these great graphics. Yes you will get a little lag in the game, especially if you have multiple cars in view, but it is not horrible nor does it make the game unplayable. Obviously if you play the game on slower phones and tablets. On my Nexus 6P and Nexus 9 tablet, they perform great. There is a bit of lag on my Nextbit Robin. One thing that may turn off some readers is the $9.99 price tag of the game. In this day of .99 Cent apps, that is expensive but, in my opinion, worth it. When you buy it, it comes completely unlocked. You don’t have to buy teams or drivers and every circuit is there for you to race. Further, you have no adverts in this game. That one price is the price of admission. In a broader sense, Codemasters has to make money on this app simply to cover their costs and justify a potential 2017 follow up. Simply put, if it doesn’t sell, don’t expect there to be a sequel. 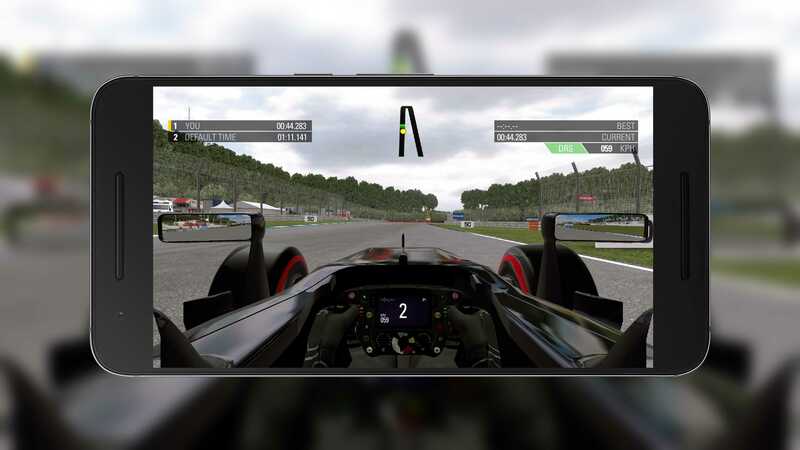 To get the game and get your Formula One career started, head over to the Play Store.